Water-sharing dispute of Bangladeshi-India on trans-boundary River is a very controversial issue. India remarkably withdraws water from 43 common rivers by constructing artificial barrage on them. Teesta is the most important river in northeast of Bangladesh. A large number of people living northern part of Bangladesh totally depend on the water of Teesta River. But Bangladesh-India disputes on water sharing of Teesta still is an unresolved crucial phenomenon in both countries . Teesta is considered as the 4th largest river of the country. So Teesta plays significant rule for internal irrigation. The mighty Teesta originates from Chitamuh Lake at the height of 7,200 meter in the Himalayas in Sikkim state of India. The river’s length is around 315 kilometers out of which 129 km is in Bangladesh. According to Hindu methodology, Teesta River originates from the breast of the Goddness Mountain. In many times, Great changes have taken place in the course of some of the rivers in Bengal and the adjoining areas. The Teesta earlier ran due south from Jalpaiguriin three channels, namely, the Karatoyato the east, the Punarbhaba in west and the Atrai in the Centre. The three channels possibly gave the name to the river as Trisrota “possessed of three streams” which has been shortened to Teesta. In the destructive floods of 1787, the Teesta River forsook its old channel rushing to south-east and finally joined the Brahmaputra. The river Teesta entered into Bangladesh at Khoribari border area under Chatnai Dimlaupazila of Nilphamari district. After flowing into Nilphamari, Lalmonirhat, Rangpur, Kurigramn and Gaibandha districts it falls into Brahmaputra River and ends in Bay of Bengal. The Teesta flows with a very strong current. Towns like Teesta Bazaar and Melli have facilities for group rafting. Though the river looks innocuous, the underlying current is very strong. In 1915, G.P. Robertson, the then Municipal Engineer of Darjeeling, drowned after losing control of the boat in the turbulence while surveying the river. During the monsoons, Teesta River distended its banks- both in size and turbulence. Since 1972, Bangladesh has been insisting on the right to a fifty-percent share of Teesta water but India always technically denies claiming the ownership of river. Moreover the West Bengal government in 1975 constructed the Gajoldoba Barrage at the upstream and just 100 km away from Teesta Barrage. Bangladesh opposed, because their “rice bowl” Rangpur region depends on Teesta. When it invariably caused frontier between two countries, India entered into an ad-hoc agreement with Bangladesh on Teesta in 1983. Water Development Board said, current requirement of the water flow at Teesta right now is around 8,000 cusec, but in reality there is only 200 cusec water flow at Teesta though the flow was more than double figure at that time of last year. Just sixty three kilometer upstream of Teesta, Indian government had constructed a barrage at Gajoldoba of Jolpaiguri district unilaterally withdrawing water from the international river violating all norms and laws. The unilateral withdrawal of waters has already made the future of the Teesta Barrage endangered and it is also making Bangladesh’s whole northern districts as a desert. But problem remains unsolved; because Bangladesh demands equal sharing. In 1984, at this point, Joint-river commission appointed to collect hydrological data & suggest a rational method for water sharing. After the completion of the survey, Commission recommended increasing Bangladesh’s share on logic that West Bengal’s barrage is very close to Bangladesh border. India is withdrawing water using the barrage, diverting more than 80 percent water flow of Teesta River through the Mohanonda canal to Darjeeling, Paschim Dinajpur, Maldoh, Jalpaiguri, Konchbihar district, Purnia of Bihar. In addition, providing irrigation of 90,000 hectares of Assam areas, India is also producing 22.5 megawatt hydroelectricity containing floods by barrage. After grabbing the 80 percent water, the rest 20 percent India would release for the use of downstream Bangladesh which would turn into a scanty flow after going through the 63 km areas for the downstream people. Nevertheless, looking beyond the political rhetoric, West Bengal concerns the water security for its northern region. India has begun to feel that its water security given ever rising demands for more water for its large size of population. According to a report of 2010, India is facing a serious water resource problem and as trends suggest, it is expected to become ‘water stressed’ by 2025 and ‘water scarce’ by 2050. More tensely, in the summer season, Due to unilateral withdrawal of water by India, the flow of the mighty River Teesta has been reduced to a canal containing just knee-deep flow of waters entering into Bangladesh at the Teesta Barrage point and the rest part of the river has already dried up. The river has dried up so badly that the Teesta Barrage pillars are now standing tall in the sand dunes. 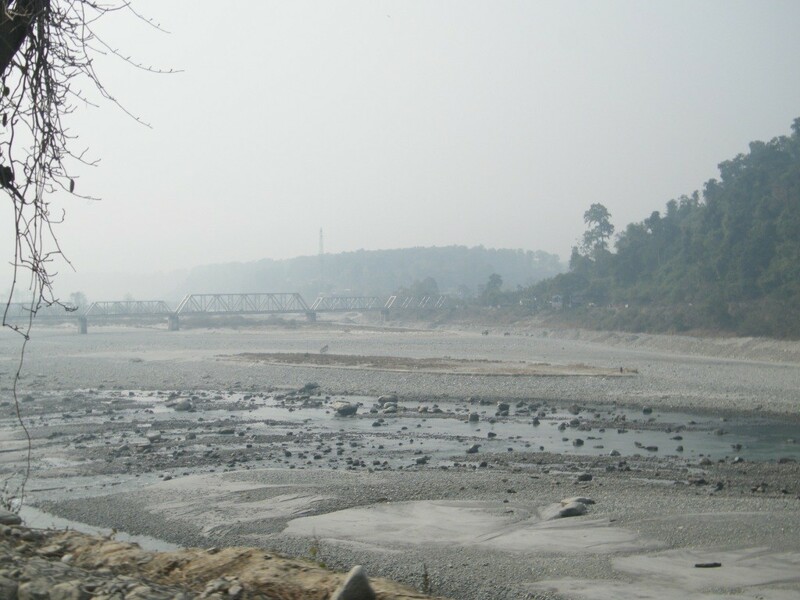 The Mighty Teesta River has lost its current lower flow after constructing another barrage at Gazaldoba which makes the whole northern region like a barren desert. 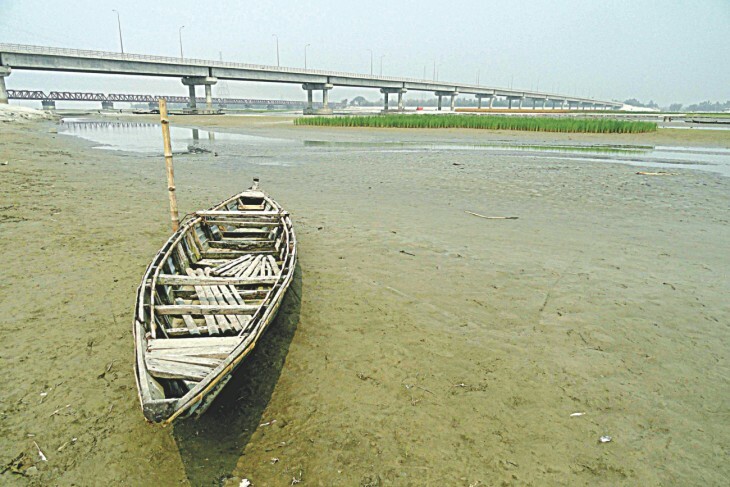 As a result, most of the offshoot branches of many small rivers have dried up and Rangpur, Nilphamari, Lalmonirhat, Gaibandha and Kurigram districts are now under the desertification process. The environment and ecology of the northern region of Bangladesh have already started feeling the abrupt change affecting agricultural production in a worst manner. Shockingly, India is right now releasing only a scanty portion of water in the summer. On the other hand, it releases the extra flow of water during the rainy season making severe floods in those days though Bangladesh was not in need of water at that time. And the whimsical release of huge water in rainy season by Gajoldoba Barrage authority often creates serious floods and damages of standing crops. Bangladesh is annually suffering losses of tk 30,000 crore due to withdrawal of river water by India, the upstream country of the Himalayan basin. Bangladesh is facing severe losses of crop production, fishes, aquatics, intrusion of salinity, and degradation of environment and forest over the years. No doubt, any unilateral transfer of river water in future will affect Bangladesh for scarcity of water. This mostly will impact not only food security but also hamper any future planning of irrigated agriculture in Bangladesh. It is extremely unfriendly behavior with a friendly neighboring country and a criminal attempt to an independent state. Putting Bangladesh at the risk of desertification as an impact of hindering flow water, India deprived Bangladesh its due share of waters. Resolving water sharing issues between these two countries are largely depended on political goodwill rather than technical aspect. Steps need to be taken to examine the water flow at both Gozaldoba and Dalia points in order to manage summer and rainy season water flows so that economic losses can minimize. As future water demand is expected to be increased significantly in both countries, water sharing will play a crucial role in water resource management. In the future, water-related disputes sometimes will have become dangerous for both countries. So any kind of conflict over water resources should be dissolved in pursuance of international law. India and Bangladesh must take appropriate joint initiatives to solve this dispute easily making bilateral contract and friendly relationship. Remember that only equal distribution of water can resolve the problem perfectly and permanently. Temperature, environment and land of Bangladesh are suitable for cultivation and growth of crops throughout the year. The main Parameter determining the growth of crops is soil humidity supply. Rainfall and flooding are the natural Sources of soil humidity. These are supplemented by irrigation. Surface water is the largest component of water resources available in Bangladesh. Since Teesta is a greater source of water, initiative is urgently needed to resolve this problem focusing on equal sharing of water as the fate of millions of Bangladeshi people depends on the fate of Teesta River. The writer is undergraduate student of sociology at the University of Dhaka.